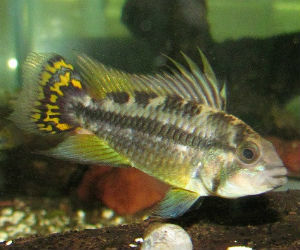 Apistogramma are a genus of dwarf cichlids, which are found throughout South America. With some nearly 90 species available one can spend a little time keeping and studying these beautiful but tiny cichlids. Their scope across South America includes east of the Andes to as far south as northern Argentina. Apistogrammas are known to be dimorphic, which means males and females are colored differently and males in general are larger in size than their partners reaching some 3.5 inches in length. These cichlids can be kept in a community tank, which can be well planted with driftwood where these peaceful and beautiful cichlids can showcase their interesting behaviors. Itâ€™s important to note that can be sensitive to pH and water chemistry, therefore you may consider soft acidic water conditions in the aquarium to match their habitat. 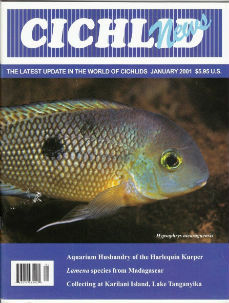 While they South American cichlids are somewhat challenging their not impossible to keep and breed. It is recommended to invest in great book on Apistogramma husbandry to insure you keep them happy and healthy. In terms of aquarium size, being that Apistogramma are dwarf cichlids, large tanks are not required. Regarding their diet these cichlids are known to be what are called micro predators, which means they can consume a broad range of items insect larvae, fry from competitors and other invertebrates. 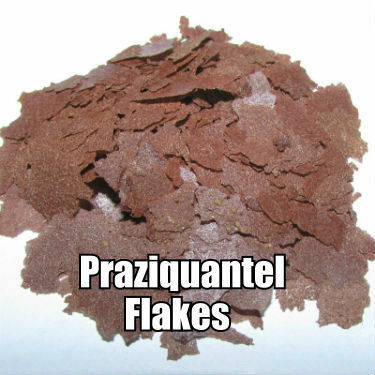 They will welcome all commonly available types of aquarium cichlid flakes and small pellets as well as items like freeze dried krill and blood worms. Order Apistogramma today and see what youâ€™re missing! 6 CUPID CICHLIDS (Biotodoma cupido) - BEAUTIFUL "DWARF" CICHLIDS FROM PERU! There are currently (83 recognized species) in this genus.